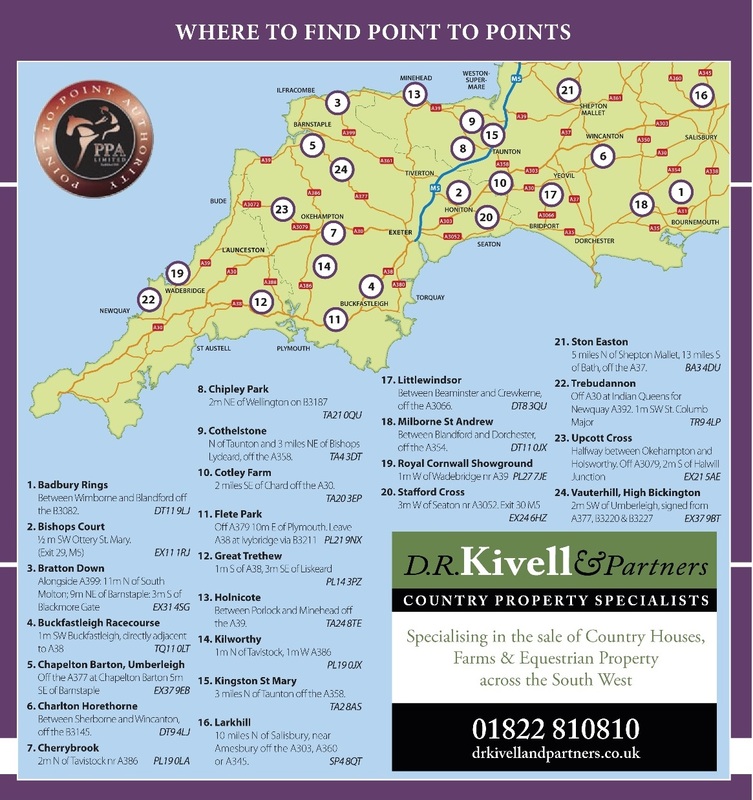 Point-to-Pointing finally got back on track in the Devon & Cornwall area last weekend after a prolonged bad weather spell, and hopefully the scheduled meeting to be held at Cherrybrook near Tavistock this coming Sunday 8th April, will be another meeting to defy the weather. Seven races are scheduled with a start time of at 1.30pm. The Mixed Open race is sponsored by Rodgers of Plymouth, and the popular grey Dicky Bob is entered for local trainer Verity Nicholls. Dicky Bob is sure to pull in his crowd of fans, a winner recently at the Kilworthy meeting, he is related to, and shares a resemblance to Desert Orchid, and is a thrill to watch racing for both punters and families who have come to follow him. Mic’s Delight is another popular horse entered for owner/trainer/ jockey Jennifer Davenport, he is a previous course winner here and loves the soft going. Inch Rock has been runner up on three occasions this season, and La Madonnia had also shown some decent place form, and are two entries from the Ed Walker team, which after the yard sent out four winners last weekend, they should be well respected. Dicky Bob also holds an entry in the opening Condy Mathias-sponsored Members race, he has won this race for the past three seasons and is likely to put on another stunning performance if connections choose this race over the Mixed Open. Its All Or Nothing has also racked up three wins at this track in previous years and could go well fresh for trainer Charlotte Rowe, if conditions suit. Strong Conviction is the only other entry, he would need to improve on his fifth at Buckfastleigh in February and had pulled up recently at the Kilworthy meeting for the Jimmy Cole team. The Charles Stanley-sponsored Open Maiden race for four-five and six-year olds has an interesting debutant entered, being Newlands Cross for Bloodstock Agent Tom Malone, and with the booking of jockey Will Biddick aboard he should put on a good round after his previous place form in Ireland. Although Newlands Cross does hold an entry at Badbury Rings, then another catching the eye is Cottage Rose who has the benefit of a mares weight allowance which could prove crucial if going is testing. In the Tyre Marks-sponsored Open Maiden race Dragon de La Tour could score after his one and-a-half-length second at Milborne St Andrew for the Big Brooke team. Mountain Las for the Pauline Geering team ran a decent second at Great Trethew, before being held in fourth at Kilworthy when sent off the bookies favourite, but could come back with a good run here. Ballybane, another from the Big Brooke team, stands out in the Rock Inn-sponsored Confined race having won at both the Buckfastleigh and Kilworthy meetings, he could come up against Wadebridge winner Heaney who looks to be a promising recruit for the trainer Claire Wonnacott and daughter Millie to ride. Honest Deed could clock up another win for team Summersby in the Stags-sponsored Intermediate race after his eight length win at Kilworthy for jockey Darren Edwards two weeks ago on testing ground. Prince Of Poets looks to be one of the main dangers after his recent two length second under jockey Rex Dingle at Kilworthy behind winner Ballybane. 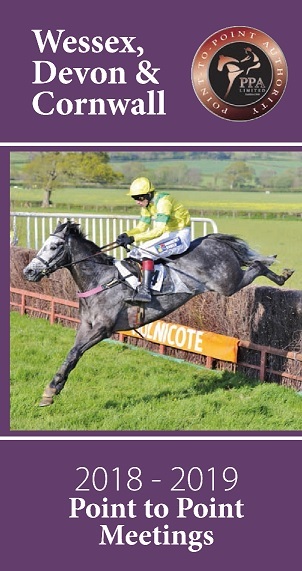 Finally up is the Active Service-sponsored Restricted race in which suggestions are Missyladie, being another good recruit out of Sam Holdsworth yard and having scored a 15 length Maiden win at Didmarton under young jockey Tomasina Eyston, and Wind Tor another of the Ed Walker-trained horses to have clocked up a notable win when taking the Maiden race at Chipley Park in January.